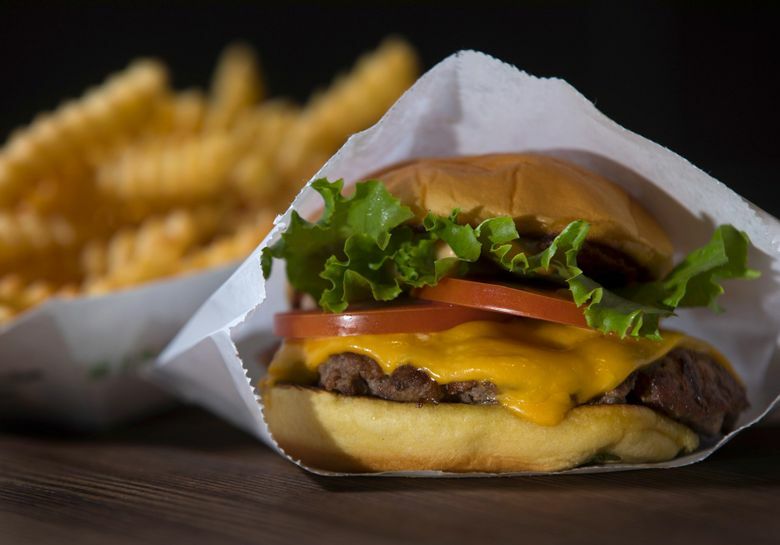 Eastsiders, you’re about to get your own Shake Shack. The popular burger chain announced Tuesday morning it will open in Kirkland by late summer or early fall. The new, 2,500-square-foot facility will be located in a new mixed-used development about a mile east of the downtown waterfront. The New York City burger chain has kept mum about its plans for the Eastside, but the developers behind “Kirkland Urban” revealed last week they have signed Shake Shack along with about a dozen other tenants for its ambitious 12-acre project on Sixth Street South and Central Way. Last fall, Shake Shack’s debut near Seattle’s Amazon campus drew such long lines around the block that even officials from its corporate office said they were shocked. In the first month, managers sometimes had to shut down the lines at night so that its young staff could catch the bus home on school nights. In addition to Shake Shack, Dough Zone, the popular soup dumpling chain, will also expand in this Eastside development after it opens next to the Paramount Theatre in downtown in June or July. The investors behind Barrio and all those Purple Café and Wine bars are also planning a restaurant here, but a spokesman said the restaurant concept for Kirkland Urban has not been decided yet.